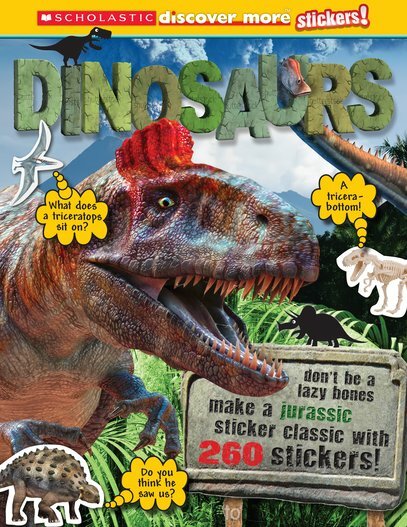 Whopping facts, loads of scary action pictures and enough stickers to stuff a starving T-Rex. The monster of all dinosaur guides. Yep: our flagship fact series now has a cool new sticker range. If you like dinosaurs – course you do! – we’ve got an awesome treat for you. All the essential dino stuff. Timelines, record breakers, fossils, dino battles. Plus more than 260 stickers to have fun with. It’s reading with extras: jokes, cartoons, colour photos, crazy facts and lots of stickers. You’ll love the great activities, from pinning the spikes on a Stegosaurus to hatching a baby dino from an egg.